Read on for all the fall ideas! Go play with friends and family at one of Northern Virginia’s fun-filled festivals or other seasonal events. You’ll find everything from Oktoberfest celebrations to Halloween haunts. Fun is probably the easiest thing to harvest this autumn — the hard part is deciding which events to choose! This is the perfect time of year to explore all the towns and cities located across the County and see for yourself how Northern Virginia celebrates the arrival of autumn. October is Virginia Wine Month, and Northern Virginia loves wine! Northern Virginia Wineries abound, and Fairfax County boasts two of them, which also happen to be the two closest to our nation’s capital — Paradise Springs Winery and The Winery at Bull Run. 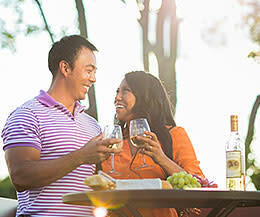 Fairfax County is considered the "Gateway to Northern Virginia Wine Country" by those coming to visit the Washington, DC, area, and you&apos;ll see why when you browse all the nearby wineries within easy access of your hotel. 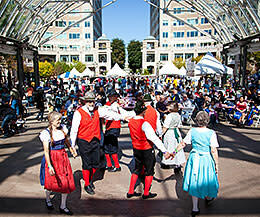 The fall festival season delivers plenty of food, live entertainment and activities across the County all autumn long. But the grande dame is definitely the Cox Farms Fall Festival—noted as the Washington Post Editor&apos;s Choice for top fall festivals. 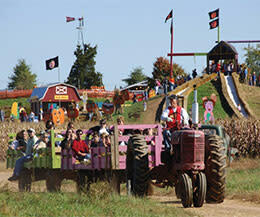 You’ll find hayrides and cornfield adventures along with food, entertainment and more. And the fun isn&apos;t limited to the daytime. When night falls on the farm, the Fields of Fear come alive! This nighttime treat features scores of Halloween fun and is meant for the adventurous teens and adults in your family. If you’re in the mood for a splash of autumn music, you’ll have ample opportunity to soak in the sounds at music venues throughout Fairfax such as George Mason University’s Center for the Arts. 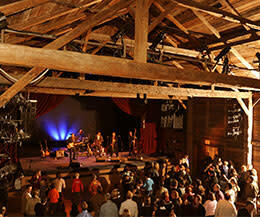 Another great example is The Barns at Wolf Trap, an intimate indoor venue that was reconstructed out of two actual barns that give listeners unparalleled acoustical joy. With concerts as colorful as the fall leaves, and performances spanning every genre imaginable, your ears are in for a treat this fall when coming for a visit. When autumn colors appear, it means seasonally delicious brews are making their yearly appearance. For you it means that it’s the perfect time to explore Fairfax County&apos;s 7 award winning craft breweries - all of which have special events and weekly happy hours throughout the autumn months. 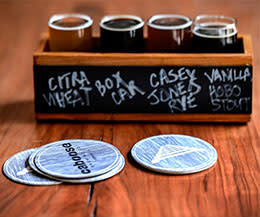 So whether you enjoy a good stout, lager, kolsch, or IPA - you&apos;ll be in hops heaven this fall. 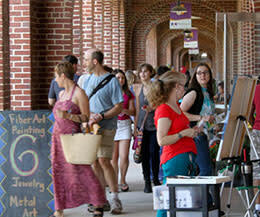 In fall, you’ll find the region’s creativity on full display at our art galleries and studios. Every community throughout the County has unique art studios or associations with local artist wares for sale. So make sure to stop by and grab your own unique memory from your visit. Be sure to check out the unique Workhouse Arts Center, an artistic colony located at the site of a former DC Correctional Facility, which features more than 100 professional and emerging artists, over 800 arts classes and workshops, and assorted performing arts including: theater, musical theater, film, music, and dance performances. History buffs will thrive in Northern Virginia, exploring Civil War sites, visiting historic attractions and taking in historical treasures like George Washington’s Mount Vernon, George Mason’s Gunston Hall, Frank Lloyd Wright’s Pope-Leighey House, the Smithsonian&apos;s National Air and Space Museum Steven F. Udvar-Hazy Center, and of course all the nearby monuments, memorials and museums of Washington, DC. The history of our area reflects the history of America, and no matter what era interests you, you&apos;ll find more than enough to keep yourself busy. 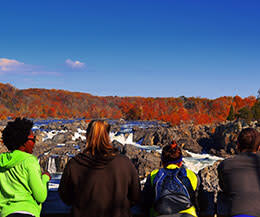 Fairfax County boasts hundreds of miles of trails and over 50 square miles of parkland which are perfect destinations for fall hikes or bike rides through fall foliage and historic sites. To save you some time from figuring out where to go, we’ve picked out 9 spots just for you in order to get you to that perfect vantage point to take in autumn’s colors in all their glory. So whether you want to explore on foot, or on bicycle, we’ve got you covered. Fall is the perfect time for a getaway, bringing brilliant colors, brisk but pleasant temperatures, and a world of events and festivals. 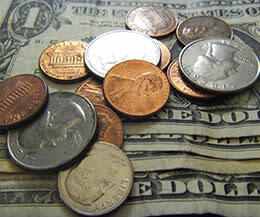 Many area hotels also feature special deals from wine lovers’ packages to 20% weekend discounts. And for dining, look for dozens of delicious specials through the fall. 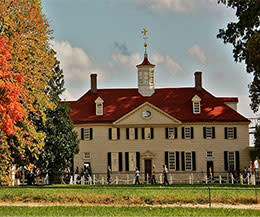 Fairfax County is the perfect affordable choice when planning a getaway to the Nation&apos;s Capital Region. We have over 100 hotels to choose from - which range from high-end luxury hotels complete with spas and golf, to extended stay properties, and camping sites.